If it's a great value straighforward selection of well-loved puzzles you're looking for, then PuzzleWorld is right up your street. 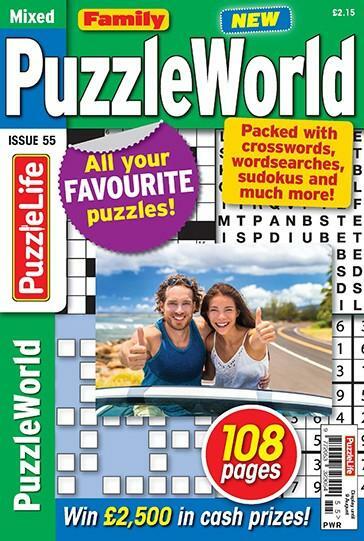 Wordsearches, sudokus, crosswords, wordsearches, codewords and a whole lot more are packed into its pages – alongside a super cash competition every month. Be the first person to tell us what you think about Family PuzzleWorld and you'll save £2.50 on your next purchase!